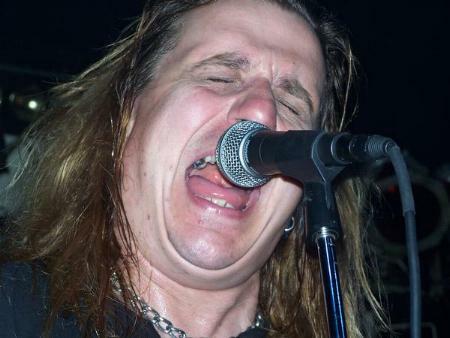 Very sad news as Rhino Bucket frontman Georg Dolivo has apparently decided to leave the band. 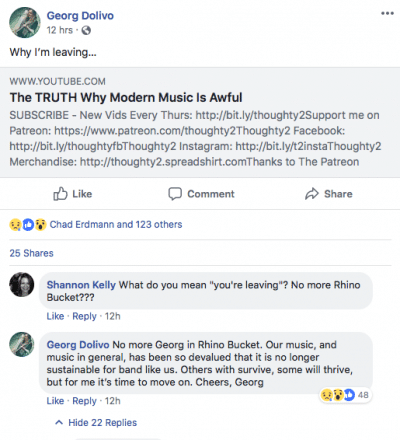 It appears that Rhino Bucket will not be continuing without Dolivo as the band’s guitarist Brian Forsythe responded “no” on Facebook when asked whether there could be a Rhino Bucket without the long-time frontman. Rhino Bucket‘s And Then It Got Ugly album finished #3 on the Sleaze Roxx’s Top Ten Albums of 2006 as well as #3 on the Sleaze Roxx Readers’ inaugural Top 20 Albums of the year in 2006.